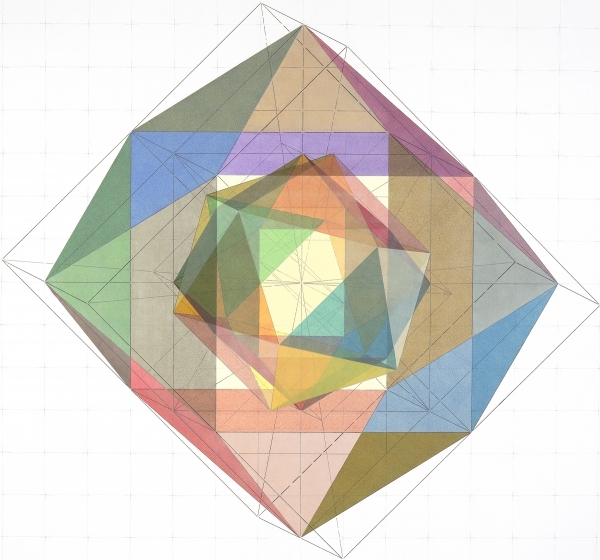 There are a number of artists who have been making mathematical art for many years. I have been following the work of Carlo H. Sequin and John Hiigli since I first became interested in the field. It was great to see some of their new work on display. Sequin’s sculpture , “Pentagonal Dyck Cycle”, uses 5 connected elliptical Dyck disks to create a single sided surface (like a Moebius Strip). 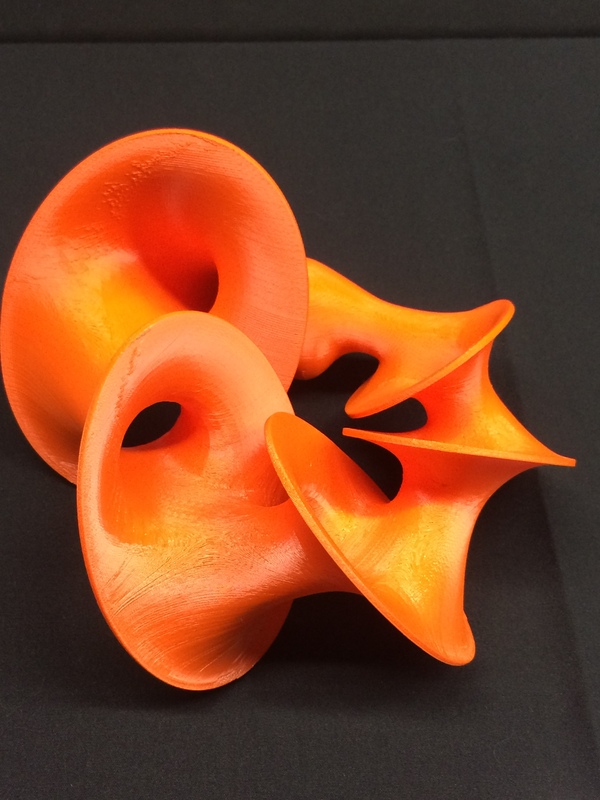 This complex form was designed on a computer and produced in ABS plastic formed by fused deposition modeling. The undulating curves create a sensuality not often found using this method. Sequin has successfully created an emotionally charged object using Mathematics and technology. John Hiigli”s painting “Chrome 209” depicts a icosahedron, a polyhedron with 20 faces inside an octahedron, a polyhedron with 8 faces. The icosahedron is twisted, so that 8 of its faces share a plan with on of each of the 8 faces of the octahedron. Using transparent oil paint Hiigli lets us see inside of the shapes, creating an elegant geometry of color within the delicate straight line schematic drawing. Christopher Arabadjis used only blue and red ballpoint pens to create this drawing. 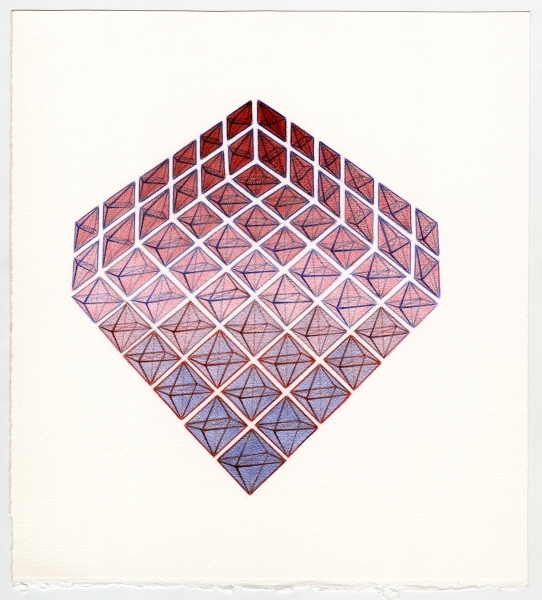 Using 2-D depiction of octahedrons in square at the bottom of the image, Arabadjis begins a process of projecting 3-D forms onto a 2-D plane. The squares become parallelograms. Then after the 6 by 6 grid of octagons is complete, Arabadijs adds two more rows to give the illusion of another dimensionality.